Dr Boutet , ND - who focuses on treating chronic illnesses including Lyme Disease and co-infections. 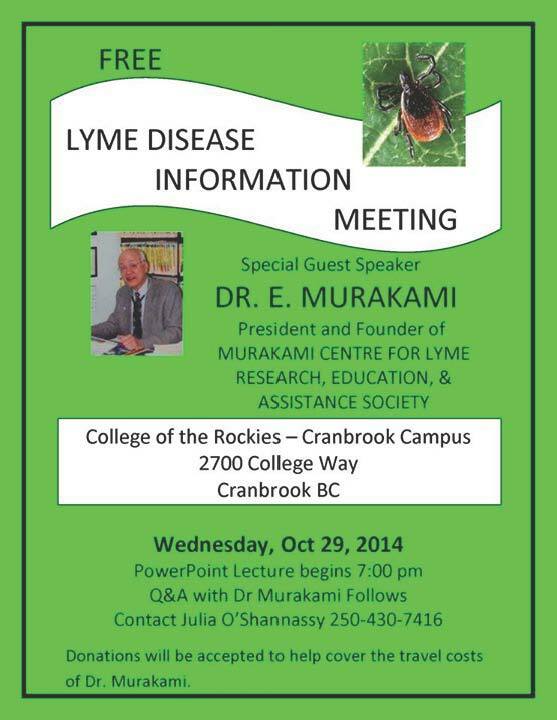 Discussion will include Lyme Awareness in BC, prevention, proper tick removal technique, symptoms, treatment and more. Public Q and A will follow. 1 Athletes Way, Vancouver, BC. Room MP4. Education and Assistance Society. Lyme Disease Advocate. 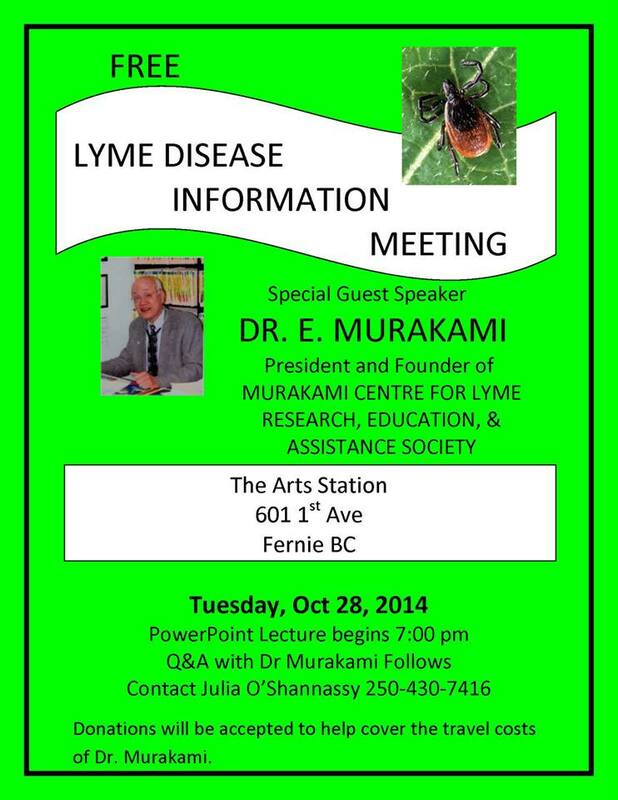 Come and hear about Lyme Disease with Dr. Ernie Murakami, MD and Gwen Barlee - Policy Director for the Wilderness Committee in Vancouver and a Lyme Disease Advocate.